Quilty Pleasures Quilt Shop, Ottawa Fabric and Sewing Machine Store also offering a variety of cabinets and storage ideas. Is sewing giving you a pain in the neck? See what a difference the right cabinet can make. The wide variety of Kangaroo Kabinets and Arrow Cabinets quilting furniture will have you cutting and sewing in comfortable positions, while keeping you organized at the same time!. The photos below provide hints of what is available for your sewing studio and the video will help you make your selection. Come in to the store to find out more! And, if you want to add the finishing touches to your studio, ask us about special-ordering oversized cutting mats, rectangular ironing boards, and tank irons. These professional pieces of equipment will make your sewing much easier, and give you the professional results we all want. 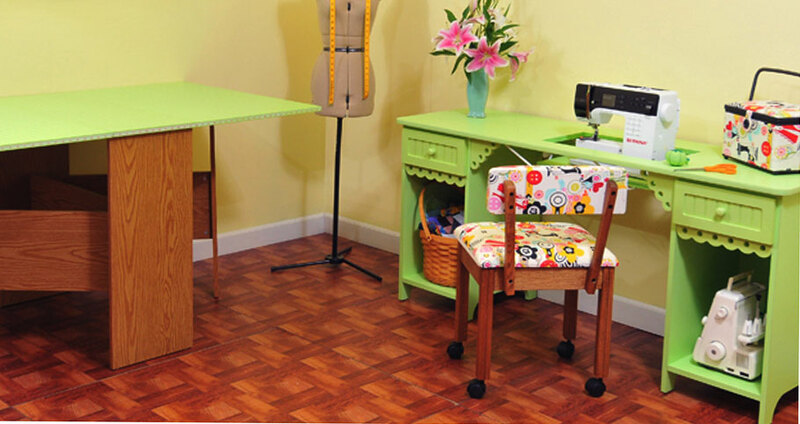 Arrow Sewing Cabinets has been making quality sewing furniture since 1943. In 2008 Arrow partnered with Horn of Australia* to create the Kangaroo Kabinet line. 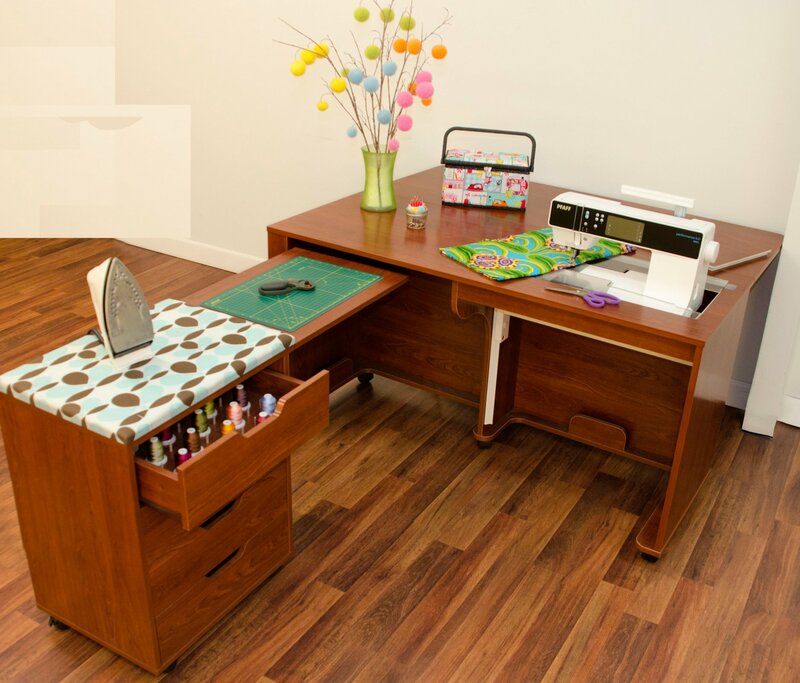 The new Inspiration Cabinet, shown above, is a complete sewing station -- cut, sew, and press all in one spot!